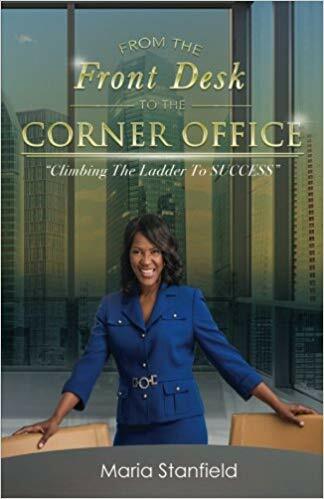 Washingtonian, Ms. Maria Stanfield is a Senior Executive in Corporate America, CEO, Career Coach, Speaker, and founder of My Sister’s Closet and My Sister CEO. Maria is passionate about carrying the torch of the women who’s shoulders she stand on, which is what led her to birthing My Sister’s Closet in 2014. My Sister’s Closet mission is to meet the needs of women through professional services and monthly workshop sessions. Maria quickly realized that My Sister’s Closet was just the beginning of what was to come. In 2016, God gave her the vision to launch My Sister CEO, a community of pioneering women who share the belief that with the support of one another their dreams can become a reality. My Sister CEO’s mission is to foster collaboration and growth among women in their personal, business, and work life, through mentorship, coaching and community engagement. Maria is a sought-after speaker for delivering an empowering message as a panelist, breakout, and keynote speaker on topics such as Professional Development, Workforce Readiness and Executive Level Career Success Strategies, for a host of conferences, corporations, churches, organizations, and radio shows just to name a few. Maria was chosen as the Career Coach for the Steve Harvey Act Like A Success Conference a few years ago where she was a panelist and breakout speaker. Maria has been profiled in a number of media platforms: The Washington Lawyer DC Bar Magazine and The Washington Business Journal for her article entitled; “Changing Dress Codes for law firms,” and an interview entitled; “Change at the Top: A Two Part Series About Making The Most of Management Changes” where she discussed her successful integration and communication tactics and was featured as Working Mother of the Year in Working Mother Magazine.